Our first event of 2016 at London Agile Practitioners 2016 went off with a bang. With learnings being shared from 3 different companies including Spotify, Sky and News UK, there was a lot to take away. We were really pleased to have brought together 3 great speakers and can’t thank them enough for taking the time time share their knowledge with the community. Thanks to great work from meetupvideo we are able to share the talks from the evening below. We hope you enjoy the topics and find them interesting. Katja shared how Spotify recently carried out a reorganisation. Reorganisations are typically tricky business, but they tried to embrace this change through the means of transparency, collaboration and self-organisation, by involving everyone in forming the new organisation together. Katja shared real examples and learnings and insights from their organisational transformation at Spotify. A really insightful talk which reenforces the close cross-functional culture at Spotify. Scott shared his insights and experiences from the transformation and continuous improvement at News UK. In this talk, Scott dives into different models they use to support and improve outcomes from a personal and wider perspective. Scott explained how personal agility fits in and the skills that individuals themselves need to be able to help ensure teams can become high performing. This includes Theoretical Knowledge (Learnt Through Study), Skills Development (Deliberate Practice), Direct Encounter (Learnt Through Experience) and Reflection (Regularly reviewing what has been learnt). Jon provided a very engaging talk from beginning to end as he shared how he is pushing the boundaries and driving people to become more within their teams. Recognising and reflecting on how culture is so important for Sky, Jon explains how he connects with best practice, pioneers, people and passions to get momentum and drive behind change. Really enjoyed this talk, Jon manages to inspire the audience with tales from his experiences whilst keeping it practical and honest. After the three great talks above, the audience asked the panel direct agile related questions on ranging from personal challenges, culture, feauture teams, scaling, re-organising teams and more. 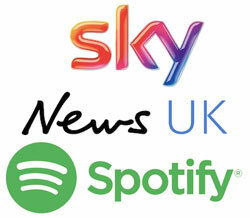 A really interesting mix of questions and answers from Sky, Spotify and News UK.